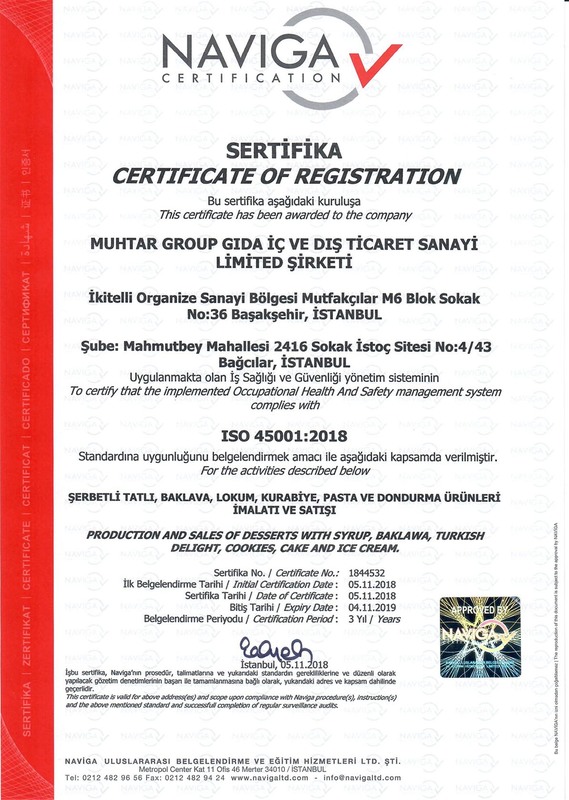 ‏Our work depends on selecting the best types of local clarified butter, Gaziantep pistachios, and flour, avoiding additives, genetically modified ingredients, artificial flavorings, dyes, and other chemical substances within the standards of international health and safety. 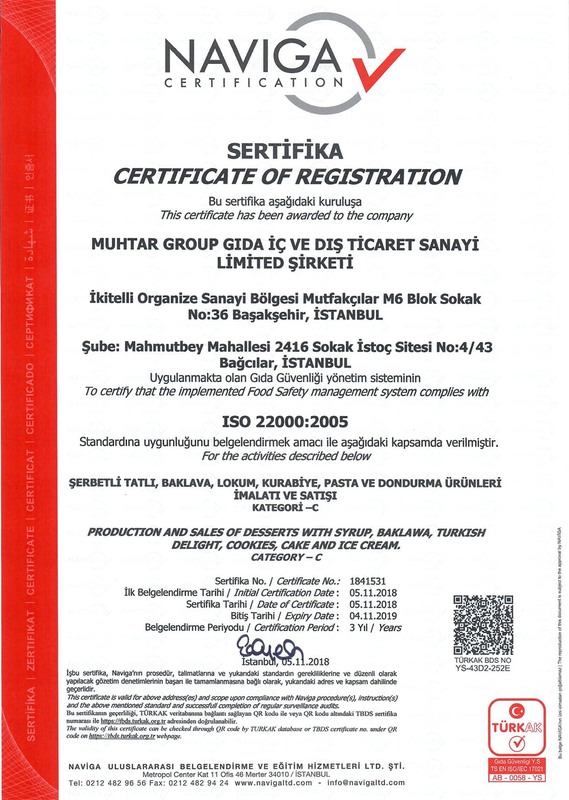 Our work depends on selecting the best types of local clarified butter, Gaziantep pistachios, and flour, avoiding additives, genetically modified ingredients, artificial flavorings, dyes, and other chemical substances within the standards of international health and safety. 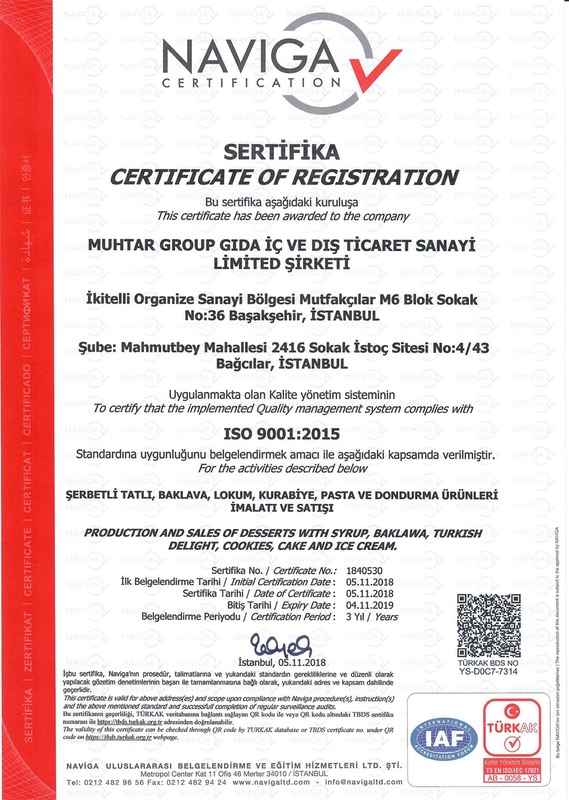 Launched in 2013 in fatih neighborhood in the famous and historical Istanbul , Muhtar Group is the first registered Turkish company that specializes in manufacturing traditional Damascene sweets. 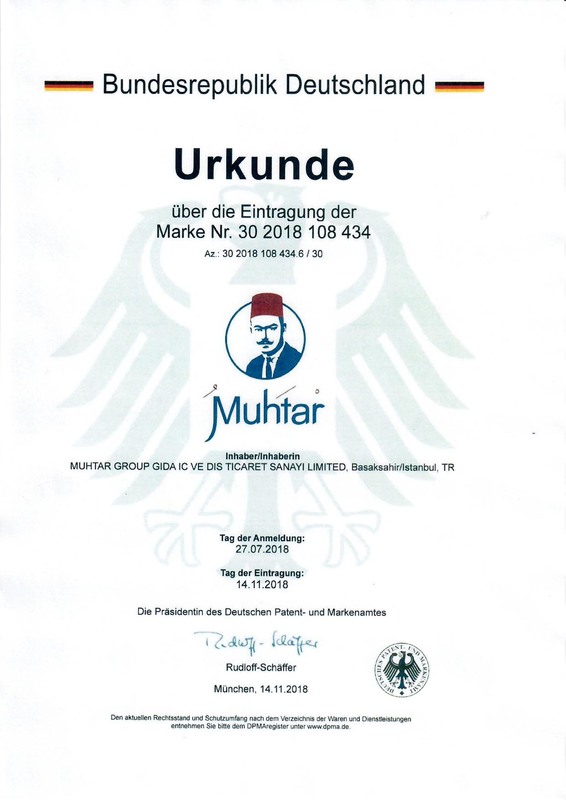 ‏Since the beginning, Muhtar has carefully selected the most talented sweet makers who possess the ancient expertise of their ancestors and elevated level of skills to be part of its team. In our early stages, we distinguished ourselves by making all types of Damascene konefe, and Arabic ice-cream with pistachios and clotted cream (qashta). Then, we expanded our product line to include many types of pistachio-based sweets, Damascene Ma’moul (semolina flour cookies), Barazek (sesame seed cookies), and Ghraybeh (shortbread cookies) among other types of Syrian sweets. Constantly striving for the best, we pushed ourselves towards marketing and selling our products in the international market. With the growing demand, we decided to establish a new sweets factory with enough space and high productivity to serve the demand of our customers around the world. 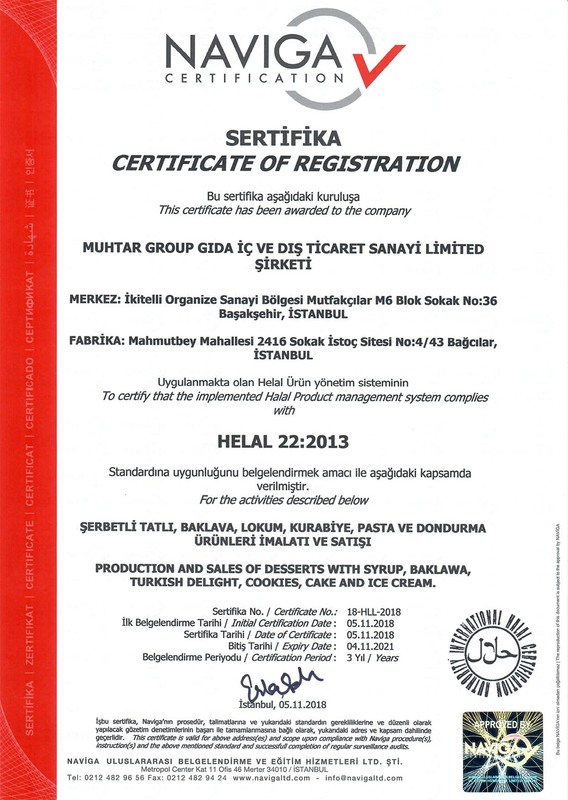 ‏In 2016, we launched the new factory in the Mutsan Industrial Complex in Basaksehir, Istanbul. 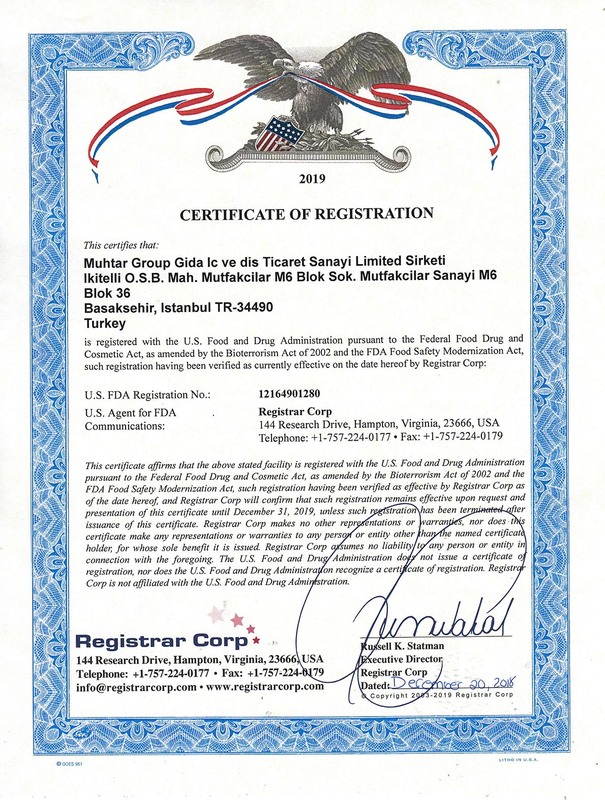 We have equipped the factory with state of the art tools and equipment in compliance with international food safety and quality standards and regulations. The opening of the new factory has helped us improve and increase the quality and timeliness of our traditional oriental sweets. Our products have become easily accessible in the United States, Canada, the United Kingdom, all of Europe, and the Arab states. 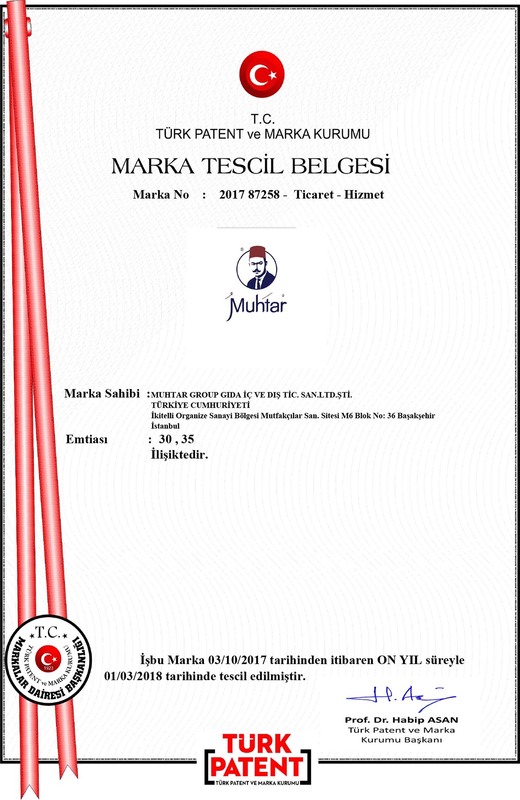 Increase our sales centers to cover all Turkish states and most countries either by opening points of sale or franchising our brand to trusted distributors in most Arab and foreign countries.